EKU's Charlie Zhang has been inducted into Sigma Lambda Chi International Construction Honor Society. 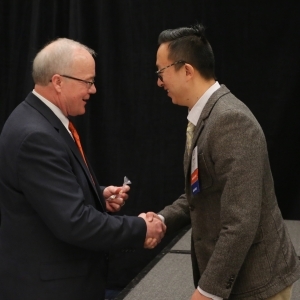 Dr. Charlie Zhang accepted honorary member status at a formal induction ceremony during the 2018 Associated Schools of Construction (ASC) National Conference held recently in Minneapolis. 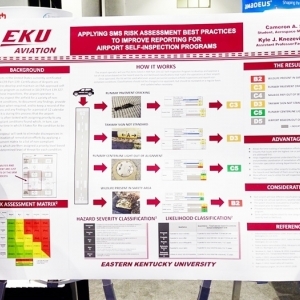 A faculty member and student from Eastern Kentucky University’s nationally prominent aviation program recently earned a national award for a project aimed at enhancing airport safety. 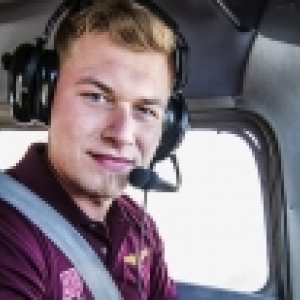 Luke Easley, from the EKU Class of 2016, always wanted to be a pilot. As a kid, he mapped out major cities on his family’s Stamping Ground, Kentucky, farm. 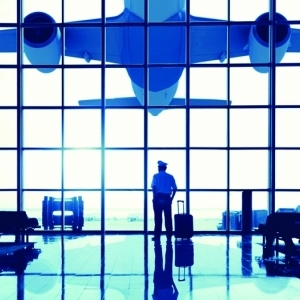 Countless hours were spent soaring his toy jetliners over a pretend map of the world that spanned several acres. 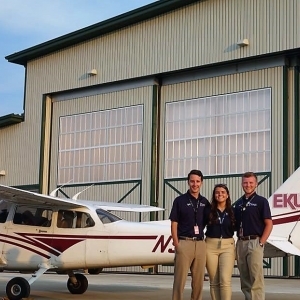 For Chandler Osborne, a senior aviation major at Eastern Kentucky University, defying the odds runs in the family. Ms. Haley Jo Haning has been named the 2018 Distinguished Senior for EKU's Department of Applied Engineering and Technology. She will be honored during a presentation in April at the Applied Engineering and Technology College to Careers Conference. 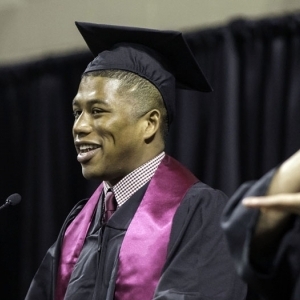 The student is selected based on superior academic achievement, excellent leadership, citizenship, character and services to EKU. 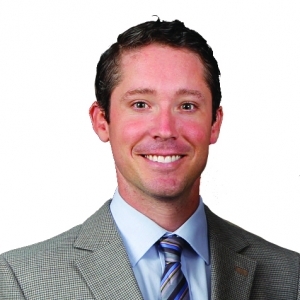 EKU's Department of Applied Engineering and Technology, along with the School of Applied Sciences and Technology, is pleased to announce that Mr. Brandon L. Berry has been selected as their departmental distinguished alum for 2018. Berry will honored during a presentation in April at the Department of Applied Engineering and Technology College to Careers Conference. 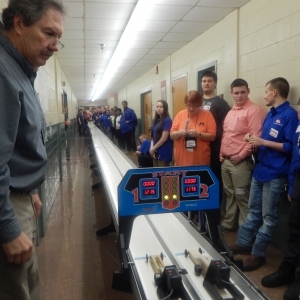 On Friday, February 23, 2018 the Department of Applied Engineering & Technology (AE&T), within the College of Business & Technology (CB&T), hosted the annual Technology Student Association (TSA) Regional competitions for middle- and high-school students in the Central Kentucky region. 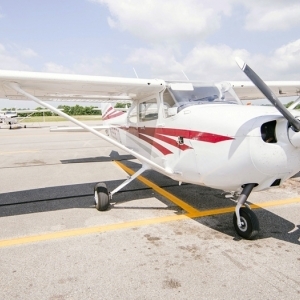 Since Horace Hunter was 5 years old, he has dreamed of taking off one day as a pilot. On Dec. 15, 2017, he landed at his graduation with a bachelor’s degree in aviation, professional flight with a minor in aerospace management.